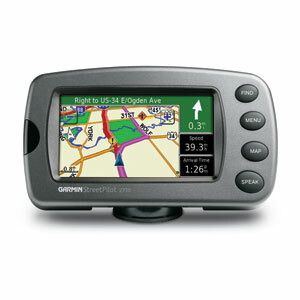 The XM-capable StreetPilot 2730 along with its counterpart, the StreetPilot 2720, offer GPS navigation at a price most built-in systems can’t touch. Plus they’re portable, so you can use them in any vehicle. StreetPilot 2730 comes ready to go right out of the box with preloaded City Navigator® NT street maps, including a hefty points of interest (POIs) database with hotels, restaurants, fuel, ATMs and more. 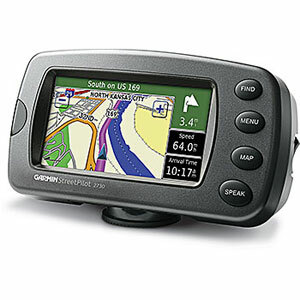 Simply touch the sunlight-readable screen or use the remote to enter a destination, and the 2730 takes you there with 2D or 3D maps and turn-by-turn voice directions. It even announces the name of exits and streets so you never have to take your eyes off the road. In addition, the 2730 accepts custom points of interest (POIs), such as school zones and safety cameras, and includes proximity alerts to warn you of upcoming POIs. With optional XM subscriptions and the 2730’s included XM antenna, you can check the weather, move ahead of traffic and listen to the radio when you travel with the StreetPilot 2730 in the U.S. 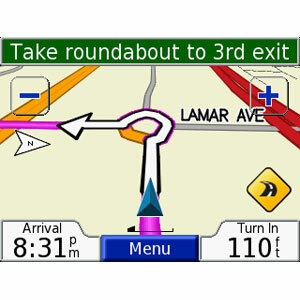 Receive real-time traffic information and route around tie-ups with XM NavTraffic. 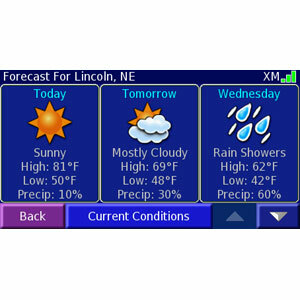 A subscription even provides basic weather information such as current conditions, forecasts, and Severe Weather Alerts. Add XM Satellite Radio to the mix for hours of commercial-free listening enjoyment. StreetPilot 2730 comes with entertainment features to help keep your journey fun. 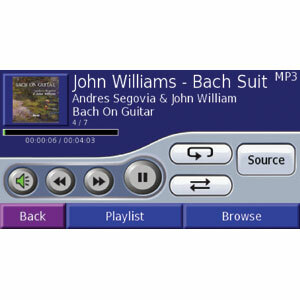 Take your music collection on the road with the 2730’s built-in MP3 player and listen to books, magazines, newspapers and more with 2730’s audio book player (subscription to Audible.com required).